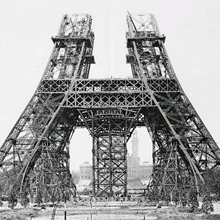 for Ruby & Rails developers - in the heart of Paris, France. La Conf is definitely not for everyone. You won't hear words recited from the manual. You probably enjoy meeting new people and appreciate that a finely cooked meal must be accompanied by a glass of wine. La Conf bakes all the great extra-curricular stuff right in to the conference itself. Exquisite cuisine and sumptuous surroundings provide the perfect backdrop to a full line-up of inspirational and hands-on speakers. You'll experience the finest food and wine in France, dine in banqueting halls designed to please Napoleon, make new connections & be inspired by visionaries from other industries. You'll return home exhausted and exhilarated, impatient to implement new ideas and kick start your project with renewed enthusiasm. Borrowing from the slaughter house, Henry Ford famously revolutionised the car industry. But what can web professionals learn from other industries? On the first day, we'll take a step aside from our familiar environments and see them through new eyes, and from fresh perspectives. With the help of six industry-leading visionaries, we'll investigate strange and brave new worlds. We'll discuss how to harness and integrate those insights into our day jobs. What good is inspiration if it's not put to practical use? On day two, eight talented developers show, rather than tell. Each will reveal the secret-sauce of how they do what they do - so we can do it too. No theory and very few keynote slides. Lot's of live cam close-ups and slo-mo action replays. 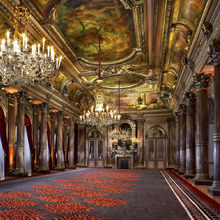 The four-star Westin Paris - Vendôme is situated between Place Vendôme and the Tuilerie gardens. Built during the reign of Napoleon III, it epitomises 19th century opulence and luxury. It's an easy stroll to Place de la Concorde, the Louvre, the Opera Garnier, the Grand Palais and hundreds of other majors sites. You cannot get any more central, or any more Parisian than this. Food and wine are fundamental to the Parisian lifestyle - so it is only natural that we make them central to La Conf too. Forget your curly conference sandwich, on both days we'll be sitting down to a full, three-course meal, served with wine, prepared by Chef Gilles Grasteau and his team of chefs. La Conf will serve the most delicious conference lunch you've ever had - and we have plenty of other culinary surprises lined up too .. If you're at all interested in what you put in your mouth, this is the place to be. On both the Thursday and the Friday, we'll be sitting down to gastronomic meals at La Conf. Each meal will be accompanied by half a bottle of wine per person. French president, Charles De Gaulle once expressed his dismay at leading a nation so fragmented it boasts two hundred and forty-six different varieties of cheese. Issues of governability aside, he was wrong - the country has closer to four hundred different kinds of cheese of all shapes, flavours and textures. Even so, the expansive range of French cheese is small beer compared to the country’s wine output. 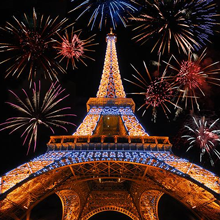 France is one of the world’s largest producers and consumers of thousands of vintages, and has been for hundreds of years. It's no wonder that the endless combinations of wine and cheese generate so much pleasure - and so many fiercely held opinions. Sampling some of these combinations is a fast-track, first-hand experience of french culture and heritage. Locale is an internationalization and localization platform for both public and private Ruby projects. Try it out today! 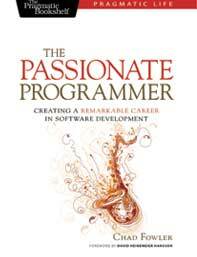 Chad is the original "Passionate Programmer" and author of the book by the same name. He teaches that a remarkable career doesn't happen by accident; It takes intention, action and a willingness to learn from mistakes. The significance of his contributions to the ruby and rails communities is undeniable; Author of "Rails Recipes", internationally renowned speaker, organizer of RubyConf and RailsConf. The list goes on. But at La Conf, Chad will be charting stranger territory as we embark with him on a journey of inspiration, creativity and constraint. It truly is a great privilege to be having this Hindi-speaking shark authority among us. 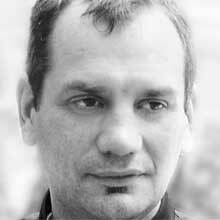 Rather ironically, the most famous French rubyist will be flying over from his home in San Diego to join us at La Conf. Matt is known for his outstanding work on Merb, Rails and countless other Open Source projects. 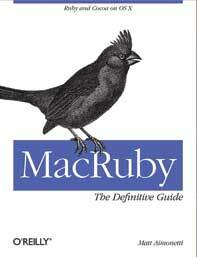 He is also the author of “MacRuby: The Definitive Guide”. He is an example of the American dream come true : equipped with only his smarts and his “joie de vivre”, he has succeeded in creating an illustrious career and a happy and fulfilling life, seizing opportunities as they present themselves. As a person of decidedly mixed origins and influences, Matt will be sharing with us how determining a rich and diverse world view can be in bettering our personal lives and in improving our professional prospects. This deeply personal talk at La Conf, will challenge your views on your very own culture and will encourage you to expand your horizons. Matt Aimonetti is attending La Conf courtesy of the good people at Living Social. Sandi has thirty years experience of working on large projects which have survived continual growth and change. 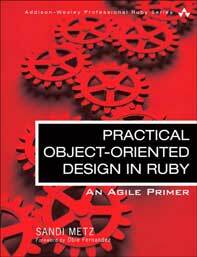 Praised for its clarity and insight, her “Practical Object-Oriented Design in Ruby” (POODR) book was published in 2012 and became an immediate classic, sparking the “WWSMD?” acronym - What Would Sandi Metz Do? But achieving such heights of excellence is never plain sailing - or easy cycling as Sandi would probably put it. In fact, it can often seem like a 100 mile pure uphill race - the kind that Sandi likes to take part in. At La Conf, we’ll be saddling up and hearing how grit and determination, rather than IQ or genius, are key factors in making it across the finish line. Steve is a Ruby Hero, open source enthusiast and a Rails committer busy getting Rails 4 out of the door. By day, he maintains the Hackety Hack project and teaches Ruby and Rails with Jumpstart Lab. He also writes about topics such as hypermedia and rust (and has some exciting writing gigs in the pipeline). It’s with the belief that software should be built for humans that Steve spends his nights as a budding digital humanities scholar. Firmly opposed to monoculture, he strives to build an inter-disciplinary understanding of all topics, be they literature or philosophy (as long as Ke$ha is blasting out on iTunes). At La Conf, Steve will be showing us why science isn’t always the be all end all of understanding and how philosophical thought can also further our lives as developers. Tom has left an indelible mark on the lives of internet folk and developers alike: as CEO and co-founder of GitHub, and as the inventor of the Gravatar, the fruits of his labour are visible to billions of people every day. When he’s not running GitHub, Tom likes to read about quantum physics and mountain-bike the Bay Area’s redwood trails. He has already spoken about “Optimizing for Happiness” and getting things done by stripping away policy and procedure in favor of smart decision making and personal responsibility. At La Conf, Tom will build on these ideas and share his “Framework for Happiness”. Unmissable. Yehuda Katz may not be human. How could any flesh-and-blood creature possibly hack on so many open source projects with such gusto? Human or superhuman? Find out for yourself at La Conf. Superhuman: You know him as a member of the Ruby on Rails and jQuery Core Teams, creator of Ember.js, W3C TAG member, bestselling author of jQuery in Action, Rails 3 in Action, contributor to Ruby In Practice .. and these are just the tip of the iceberg of his growing body of work. Human: We'll find out about the travelling, the theater and the sci-fi debates that really make him tick. Come to La Conf and get up close and personal with this extraordinary individual. Amy Hoy is a coder, designer, teacher and bootstrapping crusader. Sometimes she has green hair. Famously outspoken, whether you come to hear her laugh-out-loud presentation style, or get clarity on your first product - Amy always inspires, entertains, shocks and cajoles. Accomplished technical author, she is ditching the terminal at La Conf and focusing on the creative atom, growing it into a successful product and repeating the process - profitably - over and over again. Riffing on her 30x500 method, she'll demonstrate how she grew annual revenue to half a million dollars in just 3 short years, escaping the freelancing merry-go-round. One-hit wonder? At La Conf, Amy will teach us how to replicate her multiple successes and revenue streams for ourselves. This exceptional developer is a pivot of the Ruby community. Blogger and podcaster for 'Ruby Rogues', 'Virtuous Code', 'Wide Teams' and creator of 'Ruby Tapas', Avdi delights in sharing his knowledge with us all. His raison d'être is writing the kind of code that makes you smile : pragmatic, confident and beautiful. 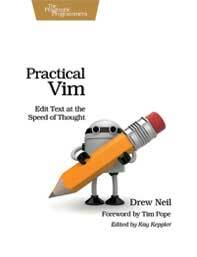 As a teacher and a mentor, it's through his mastery of elegant code that Avdi enthusiastically passes on a wealth of practical tips, techniques and idioms that are sure to surprise. We'll be putting him centre stage and on the spot at La Conf so that we may tap directly into his understanding of Ruby ourselves. In this live session, Avdi will be pairing programming with audience members who need his insights with troublesome code. Submit your code here if you would like to come up on stage! "lt's PeepCode!" 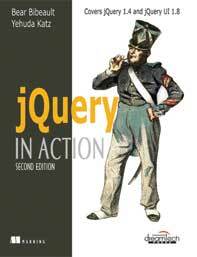 - Geoffrey's words have been cheerfully opening his series of eminent screencasts since 2006. He's a man of many talents : a proficient developer in a vast array of technologies, a creative thinker and an awesome video host to name but a few. Geoffrey's briliance shines particularly bright in his "Play by Play" series - where a guest developer shares the every-day practice of their craft. He reveals their thought processes and highlights the methodologies that lead to profound insight and learning - plus a handful of tips and tricks thrown in for good measure. At La Conf, you'll be a fly-on-the-wall as Geoffrey conducts a live Play by Play. You do not want to miss this session. Sure, you've heard of the amazing product release cycle at Github, but do you really believe it? Have you ever seen it? Githubber, 'Ruby in Practice' author and 'Ruby Inside' top hitter, Jeremy will set the record straight in what is set to be a legendary session. We'll be watching as he takes a new feature from its embryonic ticket stage, busts out the implementation with tests, runs through continuous integration and submits a pull request. Don't miss this exclusive demonstration of a full feature release cycle, live at La Conf. Jeremy McAnally is attending La Conf courtesy of the good people at Github. Contributing to open source projects can be an incredibly empowering and exciting feeling, but it is often easy to under appreciate the amount of work that goes into maintaining large projects beyond the humble pull request. Behind the scenes, submitted code is carefully tested, merged, dissected and discussed by skilful individuals operating in the shadows for the benefit of the community. Jon is such a person; Rails core member with well over 1,000 commits and a prolific open source contributor. During his session, Jon's goal is to show us how our code goes from a pull request to merged production code. Rather than just explaining the process, he'll be merging actual pull requests for Rails - right in front of us. Katrina ran away from the circus and found her true home in the land of computers and code. But as we all know this land isn't always merry and rosy, especially as the deadline rears its head. Luckily, Katrina can show us how to regain our sanity and reach programming nirvana through "Therapeutic Refactoring". And therapeutic it is indeed, as the many who have witnessed her acclaimed talk by the same name will attest to. To put it in her own words "refactoring works as well as (or better than) whiskey, sky diving, and massages as therapy". In this "Play by Play" session with Geoffrey Grosenbach, we'll be looking in as Katrina operates on some desolate code - gory before shots and slick after shots included. Let the warmth overcome you and allow your mind to be freed as she slices and reshapes the codebase in front of us. Founder of Thunderbolt Labs, Randall's experience was gained through various industries and spans from robotics to low level telecommunications and networking to applied computing for stock trading systems. He is an internationally renowned speaker on practical data mining techniques and the business of startups. The other founder of Thunderbolt Labs, Tammer is a long time Rubyist, leader and published author of the acclaimed Rails AntiPatterns book. 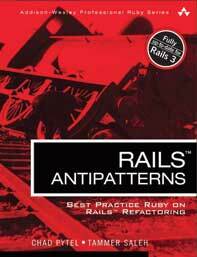 He is also the author of the Shoulda testing framework and the fantastic Airbrake service. Previous lives saw him dabble in C/C++ AI programming, as well as UNIX administration. The art of dining is not only about the quality of the meal being served, stimulating conversation is also an essential ingredient. It's in this spirit that the seating arrangement for our three-course lunch at La Conf will not be left solely to chance. Randall and Tammer have kindly accepted to take on this important responsibility by being our Maîtres d'Hôtel for a truly unprecedented session. These two fine gentlemen will be purposefully seating each one of us according to their own algorithm - revealed and implemented live on the day. By the time the lunch bell rings, the challenge is for us all to go for our meal knowing where we're sitting, who's sitting with us and why. 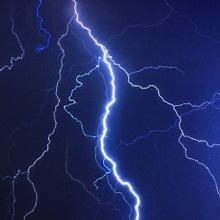 We'll be both the observers and the subject matter of this electrifying session that is certain to be a catalyst for many meaningful lunchtime conversations! Eclair Sessions are a fresh take on lightning talks. They're open to all attendees and are a fun way of getting speakers of all levels into the spotlight. With so many great authors coming to La Conf, we couldn't pass on the opportunity to host a book signing event. So bring your own books or win copies during the conference. Stop by and say hi, and get your favourite titles signed by their authors. Interested in sponsoring? Get in touch and let's talk about some exciting opportunities. La Conf is dedicated to a harassment-free conference experience for everyone. Please read our anti-harassment policy. La Conf is meant to be an inclusive, welcoming conference for everyone regardless of gender, sexual orientation, disability, physical appearance, body size, race, religion, or anything else. We will not tolerate harassment of conference participants in any form, be it verbal comments (said aloud or typed into a backchannel), imagery, deliberate intimidation, stalking, following, harassing photography or recording, sustained disruption of talks or other events, inappropriate physical contact, and unwelcome sexual attention. Participants asked to stop any harassing behavior are expected to comply immediately. We reserve the right to warn or expel offenders from the conference with no refund, and to bar them from future participation (both speaking and attendance) in La Conf for severe violations. If you are being harassed, see someone else being harassed, or have any other concerns on-site please contact one of the conference organizers or volunteers immediately. We have adapted this anti-harassment policy from a sample provided by Geek Feminism and RubyConf2012. Salut tout le monde! I fell in love with this city of lights more than eight years ago the instant I stepped off of the metro. Its beauty, atmosphere, and the way it delights every sense have conspired to make me the epicurean I am. I'm proud to call Paris my home. For a long time, I've felt that such a unique location deserved an equally unique Ruby conference. I intend for La Conf to be just that. Allow me to share with you what makes Paris such a special place. Feed your body and stimulate your mind. I hope to see you all here.